Joao Driessen (tenor sax); Michael Rörby (trombone); Mihail Ivanov (bass); Srdjan Ivanovic (drums); Zlato Baracskai (electronics). Everything mixes with everything. That seems to be the credo of Blazin' Quartet that is coming to the North Sea Jazz Festival with a scratcher from the Balkans. 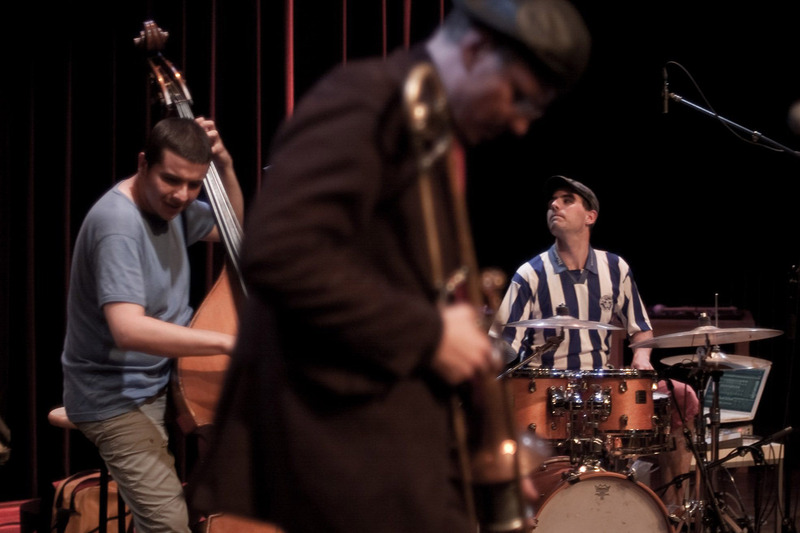 Bassist Mihail Ivanov, drummer Srjdan Ivanovic, Swedish trombonist Michael Rörby and tenor saxophonist Joao Driessen bring together worlds that you would not think possible. Blazin' Quartet plays jazzy folk, infused with electronic effects and influences that stretch from Turkey to Africa. Blazin' Quartet already played at the North Sea Jazz Festival in 2008 as the winner of the Dutch Jazz Competition. Since then they have developed considerably, won even more awards and participated in the Young VIPs Tour. They will be playing new material at the festival, developed with digital wizard Zlatko Baracskai from Sarajevo, who attended the conservatory in The Hague. Together with Baracskai, the band released its well-received debut album Finding A Way at the end of 2009.